A teen diagnosis of bipolar disorder creates quite a volatile ‘coming of age’. 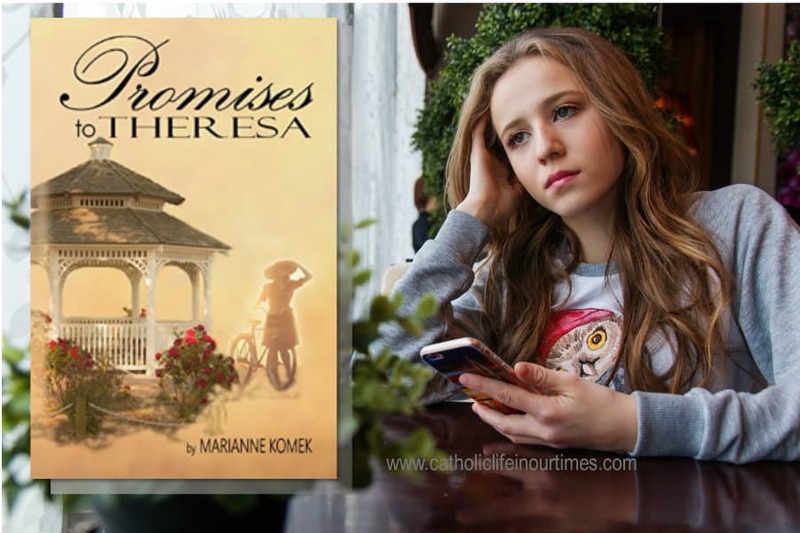 When young Theresa, the main character in the novel Promises to Theresa by Marianne Komek, exhibits the first symptoms of bipolar disorder, she dismisses them as simply the result of too many responsibilities. After she discovers this condition also caused her mother’s erratic behavior throughout her childhood, the young girl denies her own diagnosis completely. However, excuse after excuse fails to explain her outbursts and social angst. The reader is lead on a quite convincing roller-coaster ride of actions and reactions, common for the untreated bipolar patient. Faith, family, and friends finally convince Theresa of the reality of her diagnosis and the hopes that are still very much within her grasp. I have to admit that I had no expectations when I agreed to review Promises to Theresa. Imagine my surprise when I discovered the novel deals with something with which I am intimately familiar. Like the protagonist in the story, one of my loved ones is living with bipolar disorder. From experience, I can say this author has an amazing capacity for capturing the contrasting difficulties of the periods of mania and depression felt by those in its grip. Although the going can be rocky, there is abundant hope and empathy contained in the pages of this lovingly crafted novel. Our call, as Christians, is to put ourselves into the shoes of those who suffer in one way or another. The chapters in this title do exactly that. Page after page, the reader is transported into the mind of someone who is not always comfortable within her own skin. Yet, there is familiarity as well. As she shares many of the hopes and dreams of those not suffering from mental illness, Theresa is not unlike any of us who aspire for a fulfilling life. Through her trials and triumphs, we come to fully appreciate the vital role God plays in overcoming monumental trials. Patron saints, family and friends also play a substantial part in conquering this cross – just as with any cross we carry. Hopelessness, sadness, and mounting fear all culminate in a plea for understanding. As society begins to soften its attitude toward those suffering mental illness, those who suffer from it find solace, support, and understanding. From there we look forward to removing the stigma of the past and building up our affected brothers and sisters. Marianne Komek is a freelance journalist whose articles have appeared in the National Catholic Register, the Catholic News Service, and The Catholic Spirit, the official newspaper for the diocese of Metuchen. She has worked as a production editor and editorial assistant for publishers in New York City. Komek also tutored remedial English and taught ESL. Learn more about Marianne here. Is Someone You Love Poison for Your Soul?